Hello! I'm starting a new series of blog posts today, kind of monthly round-up posts. I suppose they will be about things we've been up to over the past few weeks, or things that have been on my mind. Recently, I was hit by the fact that it is already May, when it kind of feels like I'm just getting over Christmas. The months seem to merge into each other. 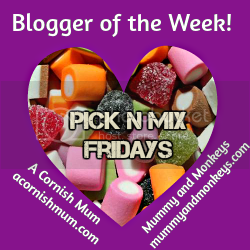 I thought signposting them with a blog post might help me with that 'argh, time is sliding away from me' feeling. We've been celebrating a few things this month - a wedding, the birthdays of my lovely niece and nephew, our 6 year wedding anniversary, and my Dad's birthday. I thought I'd take the opportunity to talk a little bit about my Dad. Just, you know, in general. My Dad is awesome. My parents have raised three (sometimes pretty fiesty) girls and have always shown us love, patience and kindness. 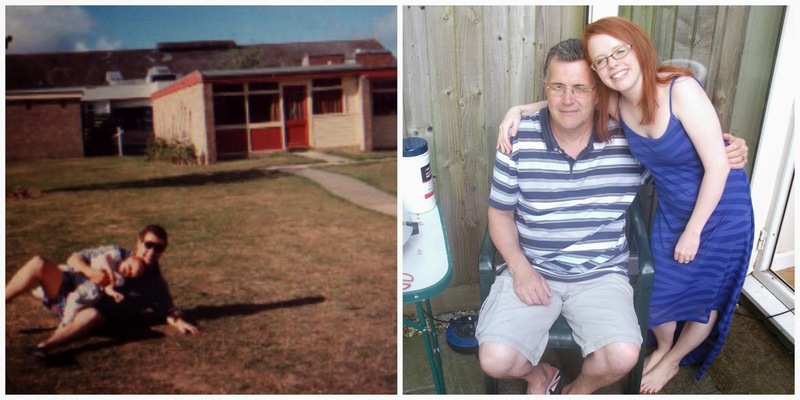 Dad has never shied away from our tears; never made us feel like we couldn't achieve something because of our gender; never said no to buying us packs of Always and chocolate bars once a month. My lovely Dad. My daughters' gentle, kind Granddad. I am so grateful for my parents. Left: me and Dad twenty-something years ago, apparently chilling out on the grass. Right: me and Dad in 2014, sharing an awkward-squint-at-the-camera moment. And tomorrow, we are jetting off to the fabulously sunny (fingers crossed) Devon on a Sun bargain caravan-style holiday. We will be visiting some places that we saw when we were on our honeymoon, so that will be nice. I just don't know what to do with myself. Two holidays in one year?! Madness. I'm so grateful. What I'm really craving now is time with my husband and daughter, switched off from the internet and from daily worries, just to create memories with them. When I get back, I expect I will be writing a 'how to survive a holiday in a tiny caravan with an energetic toddler' post. Jellybean had her first proper sickness bug this month and it was soooooo much fun. It turns out I am total wimp when it comes to my child's vomit and thus it was left mostly to Chris to deal with her bed while I changed her. We also made the rookie mistake of putting her down to sleep again straight afterwards. Lesson learnt: always presume they will be sick again ten minutes later. Anyway, after a few sleepless nights and another surprise vomiting session (just as we sat down to eat dinner, obviously, because that is a perfect time to projectile) she seems to be okay. It's just - argh. I hate seeing her poorly. 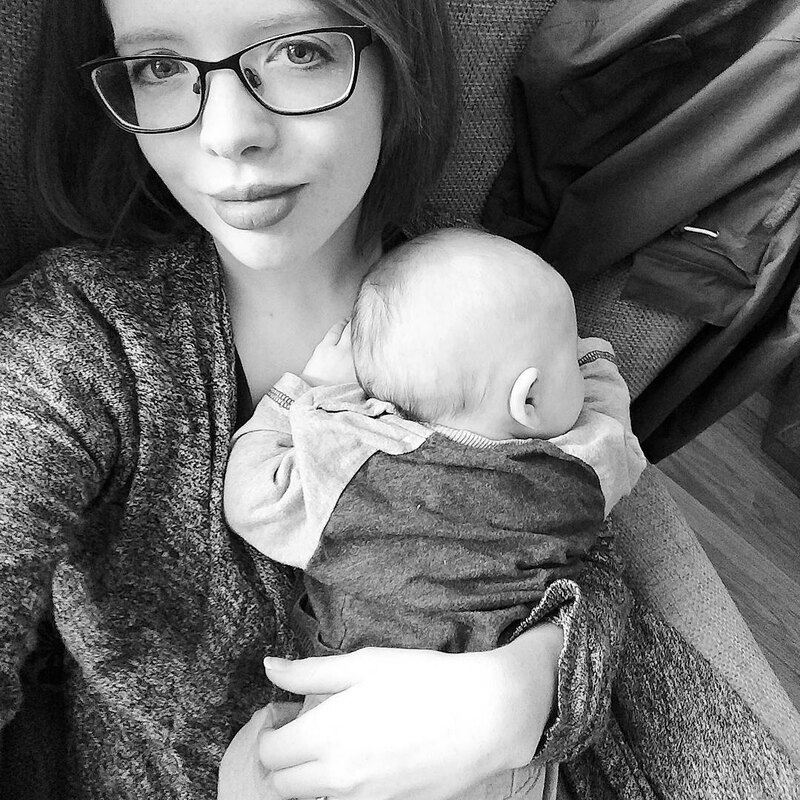 I hate that anxiety that flutters in your stomach as you watch your child asleep with a burning temperature, praying that they will fight off whatever it is that works through their system. Jellybean talks non stop and she seems to say a new word every day. Now I can ask her questions and she will actually reply to me in a sentence that is English and not gibberish. She understands that Daddy is sometimes at work (and if I ask her where he is, she says 'Daddy WORK!' in this triumphant, I-know-the-answer way). She knows the difference between 'home' (our house) and 'house' (other people's houses). She will actually tell me what she wants to do at toddler group instead of just nodding at whatever I suggest. My little person. Growing up. The other night I had a little teary moment to Chris. A kind of 'I know I'm supposed to be embracing the moment without worrying about it but I love this age so much and she's so cute and she needs me and she's going to grow up and then she won't need me for cuddles anymoreeeee' thing. This immediately made it better. My head was filled with ideas of painting together and cooking together and giving her advice when she's a teenager and she's having a problem (funnily enough, visions of tantrums and arguments and stroppy attitudes were not present in my imagination). I get to teach her things! What an honour and a privilege it is to be able to help my daughter to discover the world and all the things that she is capable of. My feelings about it are secondary to the mission that is seeing her grow into a healthy, independent adult. Also, she now says 'heavy' when carrying things and 'Whereareyooooww?' when looking for someone, and she says 'wowwow' for 'another one' which gets tacked onto things that she wants. For example 'Mama! Wowwow toast' means, directly translated, 'another one toast' which is not quite correct, but it's ADORABLE. 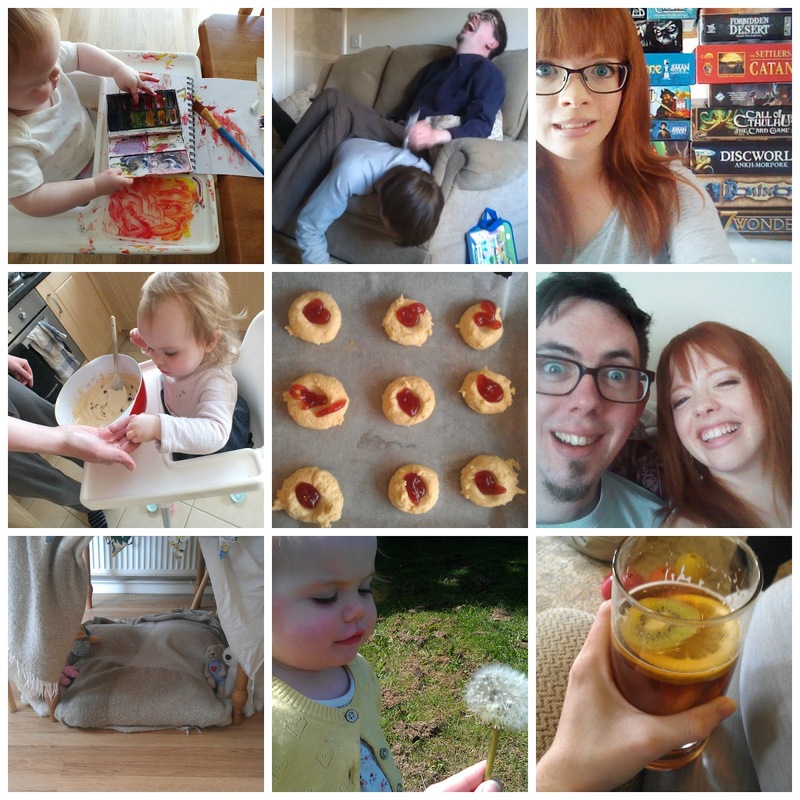 So really, May was a painting, baking, den-making, nephew-squashing, dolly-walking, gardening, dandelion-blowing, memory-finding, board-game-playing, anniversary-celebrating, park-visiting, watching-my-Mum-conquer-a-zipwire(ing? 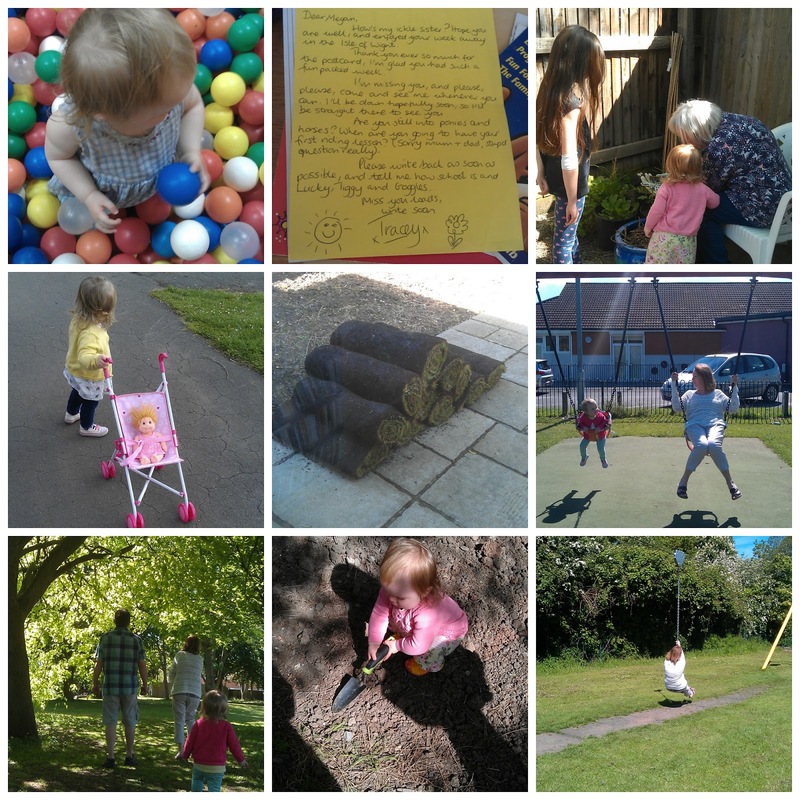 ), soft-play-happening, frog-finding, Pimms-enjoying sort of a month. Hope you've all had a good one! Bring on June!